What are the best cheap tablets at under 100 dollars? I review all of them and here is a list with the best low budget options in 2018. Which are the best tablets under 100 dollars that are actually worth buying in 2018? Whether you are on a tight budget or just want a cheap tablet, I do have a couple of good recommendations for you. I’ve been testing tablets since 2008 and am reviewing almost every device that is released. In the last couple of years, low budget ones have gotten better and better. By now, there are some pretty good ones at under 100$. As you might expect, tablets at this low price point are not perfect for gaming or to get some serious work done. However, every option listed below is certainly fast enough for light web browsing or watching YouTube. In fact, the top on this list is even fine for decent gaming. And if your expectations are not too high, you can play most games at low graphics settings on all the ones listed below. If you’ve got specific questions, feel free to hit me up on Twitter. Now, I’m proud to have a very international audience on my website. However, to make it easy I’ve based this list on US Dollars. All of these should be very inexpensive converted in your local currency. The Amazon Fire HD 8 is the best tablet at under 100 dollars. It features a solid 8-inch HD screen, a decent build quality, and a great battery life. I’m going as far as saying that at this price, the battery life and performance are outstanding. The Fire HD 8 is as fast as the Samsung Galaxy Tab A 8.0 2017. That one costs twice as much. No tablet is perfect and that applies here too. 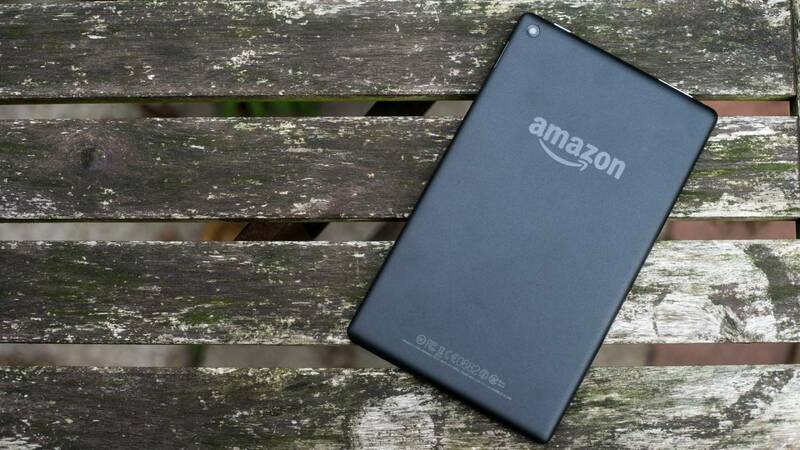 While the Fire HD 8 is running Android, it is Amazon’s and not Google’s Android. There is no Play Store, no YouTube, and no Gmail. Instead, you get a deep integration into Amazon’s ecosystem. That can be great if you are a prime member. Otherwise, it might be annoying. However, you can install the Google Play Store yourself and that is what I recommend doing. Sadly, the Amazon Fire HD 8 is not available in all countries. If you can’t get it, you can scroll further down or check out the Lenovo Tab4 8 and Huawei MediaPad T3 8. These are almost identical to the HD 8 but costs a bit over 100 dollars. The Amazon Fire 7 is an even cheaper option. It is not as fast as the Fire HD 8 and the screen offers a lower resolution. However, considering the price of just under 50 US Dollars, it is a great bargain. You won’t get the best gaming performance, but the Fire 7 is certainly fine for surfing the web and watching Amazon Video or YouTube. As with its bigger brother, you can install the Google Play Store yourself. Again, the Amazon Fire 7 is not available in all countries. If you are looking for something similar, you can check out the Lenovo Tab3 7 Essential. Both tablets are almost identical, but the Lenovo costs a bit more. It features almost vanilla Android but don’t expect to get any major updates. I’m kind of in love with the FNF iFive Mini 4S. But you probably can’t buy it at your local retailer. Instead, you usually have to import it from China. However, it might be worth it if you are willing to make compromises on support and possibly any kind of warranty. While it is not perfect, I really enjoyed using it. It is a great and, in some points, a better alternative to the Amazon Fire HD 8. The 7.9-inch screen offers a very high resolution of 2048 x 1536 – just like the iPad Mini 4. At around 100 Dollars, the display is excellent. It is not as fast as the Apple tablet but plays in the same league as the Fire HD 8. The build quality is decent and feels surprisingly nice for its price. It is running almost vanilla Android but again, don’t expect any big updates. It has two major downsides. The battery life is bad and there is some weird static coming out of the headphone jack. Depending on sales and deals, the price varies a bit. I wouldn’t spend much over 100 US Dollars for it. The Teclast P10 is another Chinese tablet that you can import to wherever you live. It is one of the cheapest 10-inch tablets out there. Even though it costs around 100 dollars, it features a full metal body and a decent full HD screen. The performance is far from great but good enough for Chrome, YouTube, and lower end games. Considering its 10-inch size, it is very cheap but quite a good value. If you want something noticeably better, you can check out the Amazon Fire HD 10. Another alternative from a more famous brand is the Huawei MediaPad T3 10. Both are noticeably more expensive though.